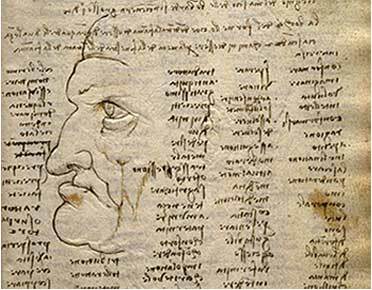 According to a timeline by noted da Vinci scholar Martin Kemp, Universal Leonardo, the Codex Trivulzianus is one of Leonardo's earliest known manuscripts. Many pages take the form of word lists; Leonardo had a strong interest in Italian language and literature, and in Latin, which he taught himself. The Codex also includes architectural drawings relating to plans for a crossing-dome for Milan Cathedral, and a portrait doodle or two!